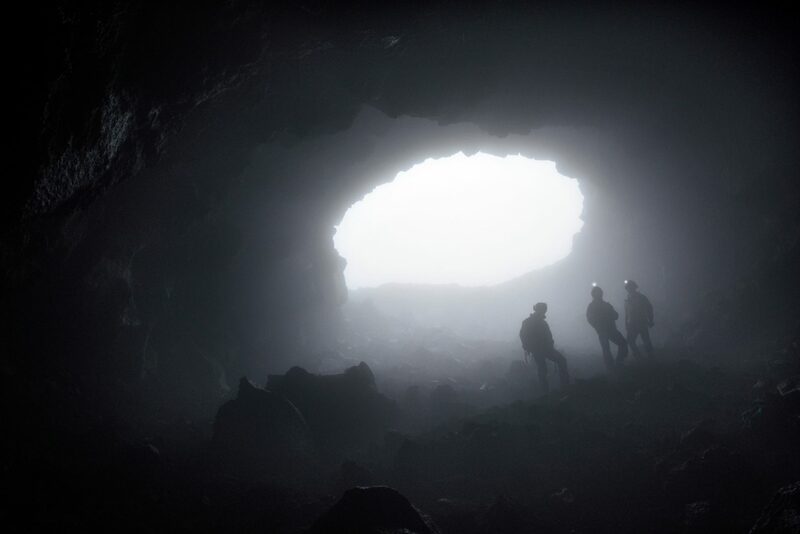 Having left the thick fog swirling around outside on Mount Etna, Sicily, explores descend into the misty subsurface. Inside Grotta del Gelo, a lava tube that formed following the cooling of a lava flow during an eruption that began in July 1614 and lasted for over ten years. The headlamps cut through the cloud in search of the way on, revealing a reflective crystal clear lake on top of a large mass of ice. Grotta del Gelo is unusual, as finding lava tubes with ice inside is a rarity.